The Well Tempered Pianist four-hand team offers concerts and workshops to demonstrate how to apply the Alexander Technique to the intricacies of music making and have fun in the process! The Well Tempered Pianist is every musician released from the obstacles they have created for themselves. Finding your true musician within allows you to experience the music as you hear it. This work is based on the principles of F.M. 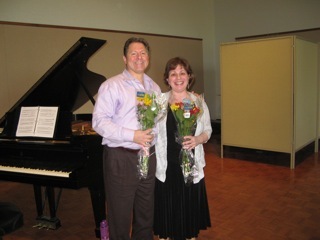 Alexander along with the pianistic backgrounds of Deborah Adams and Michael Serio. Music can be a joyful experience for everyone. You can learn to relinquish obstacles that prevent you from becoming the pianist you work so hard to become. Through our unique approach to the Alexander Technique and piano, you will learn the tools you need to help you rid yourself of your obstacles and discover the best of yourself in your playing.